Bungie is changing the way Destiny players get matched against one another in PvP, based on fan feedback. Bungie has confirmed that Destiny’s PvP matchmaking algorithms will be changed this week to favour connection quality over skill-based matchmaking (SBMM). Player skill rating will remain a factor, as is the case in most similar games. The news comes in the wake of a recent admission by the developer that all of Destiny’s PvP playlists were switched to SBMM last December and a barrage of resulting criticism. This new change will start to go into effect later today with the launch of the latest Iron Banner event. For 24 hours, Bungie will monitor player feedback and look over all data, before pushing the changes to all players on Wednesday, January 27 at 10am PST. If you play Destiny regularly or even loosely follow its news, it’s been hard to avoid recent anger Bungie has been receiving from all corners of the internet. The current lull in the game’s PvE, the lack of a clear plan for the future and rumours suggesting Destiny 2 may be delayed have also been contributing factors to current levels of ire. 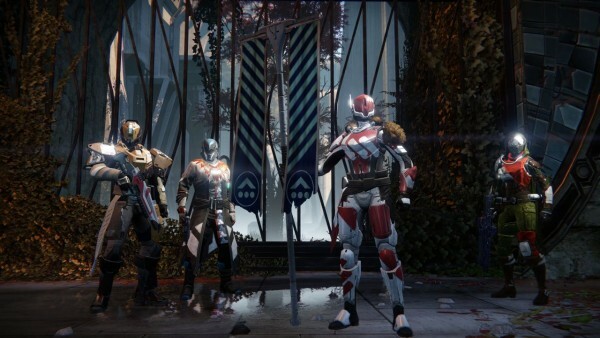 For PvP players, however, matchmaking changes Bungie implemented behind the scenes without announcing them have been a primary cause for concern. The SBMM system, which favours player skill over connection quality, has resulted in heavy lag across all competitive modes since last December.